It is Monday morning and I thought I would send you a smile. It has been said that smiling is contagious and I hope you catch it in order to start your week on a positive note. 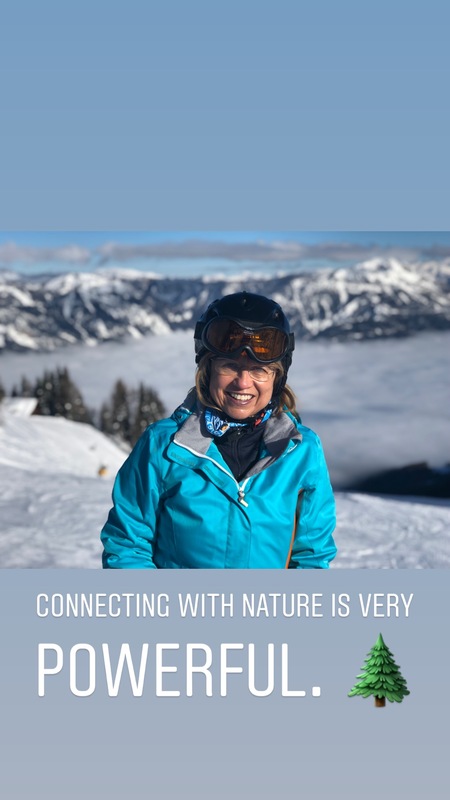 Connecting with nature is something that I have learned early on from my parents and since I spent some time with them last week, it was nice to connect my past to my present. I can remember so many times when I wanted to watch TV but my parents made sure that I was either on the ski hill, skating rink, bike or we went hiking together as a family. I may not always have appreciated it as a child but I certainly appreciate it today. I believe that we wouldn’t have to deal with all the “new diseases” ADD (Attention Deficit Disorder) and ADHD (Attention-Deficit/Hyperactivity Disorder) if more people would make sure that they put their phones down and make time for physical activity in combination with the outdoors. Of course this is also most effective for stress management. If your body feels better, so does your mind. Physical activity produces endorphins (chemicals in the brain that act as natural painkillers) and also improve the ability to sleep, which in turn reduces stress. Going for a walk before or after work, or at lunch can already make a significant difference. Ideally you find something that you truly enjoy doing. Don’t use winter as an excuse. It isn’t a matter of being cold, it’s all about dressing properly and making it a fun experience. If you start to consciously enjoy nature, your physical and mental health will be in good hands. Of course the same is true for your family and for the members of your team. I encourage you to use nature in your favour. Ready, set, walk!